The Inclusive Curriculum Health Check, produced as part of the BME Attainment Project, prompts reflection on content, delivery and assessment of programmes, and the extent to which they embed the principles of inclusivity. Diverse reading lists, the development of critical thinking about diversity among students, engagement strategies and formative assessments are just some of the ways to rate the inclusive nature of programmes. 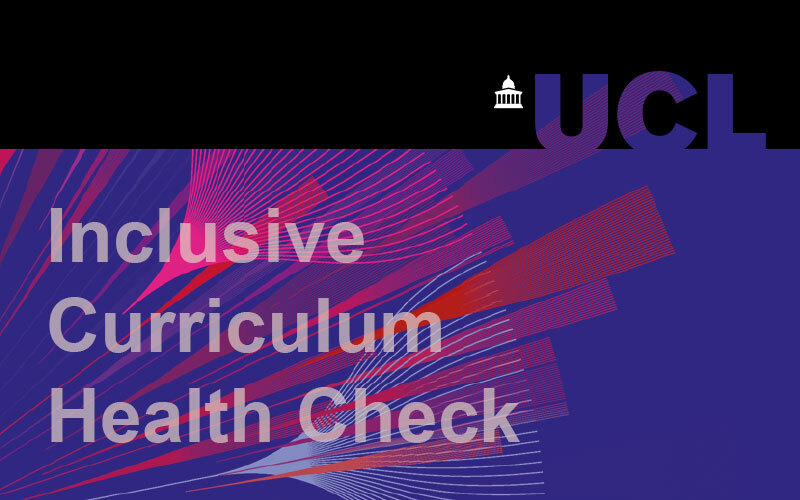 Departments will be asked to use the Inclusive Curriculum Heath Check as part of the UCL Annual Student Experience Review (ASER) process. "The Health Check is the first step in supporting departmental colleagues to think about and strengthen inclusivity within the academic context. We want to make sure that all students, regardless of background, are able to participate fully and achieve their potential." The Health Check is the first tool to have been developed as part of the institutional approach to building inclusivity from 'concept to review'. The model is based on an Inclusive Curriculum Framework created by Kingston University, the lead institution in a HEFCE-funded consortium aiming to tackle the BME attainment gap, the disparity in attainment and experience of undergraduate BME and white students. The aim is to embed the principles of inclusivity in all aspects of the academic cycle from the development and revitalisation of curricula, through the practice of teaching and learning, to the process of assessment and finally full circle to programme review, modification and revalidation. Inclusivity is treated as an ongoing measure of quality assurance and enhancement. New Moodle course for staff to provide information about how you can create accessible learning environments that support students with learning difficulties, disabilities and long-term health conditions.